A little twist on our normal treasure hunt this month... This time I based it on the current 'Escape Room' craze! Yesterday I planted 5 antique skeleton keys (on loan from my wife's collection) and five clues in the kids' room. 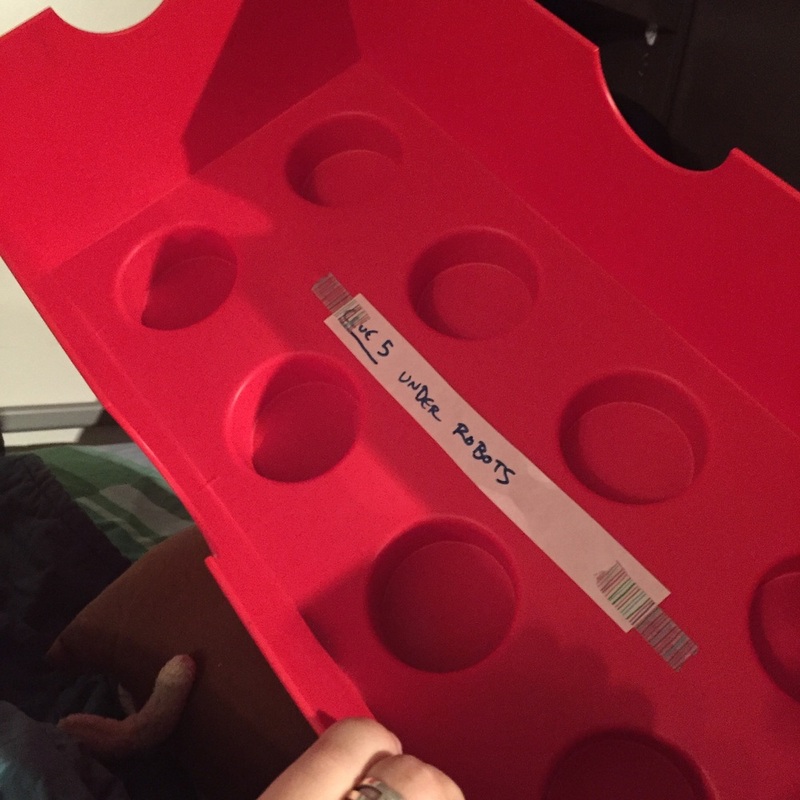 The cool thing I found when I did an escape room is that you had to discover what you had to discover to get out, so I intentionally kept the instructions to the kids pretty vague. I just told them there were five keys for the five "locks" on the door, and if they could find all five keys in under 30 minutes they could get a prize. And then I just watched as they went searching for the keys. 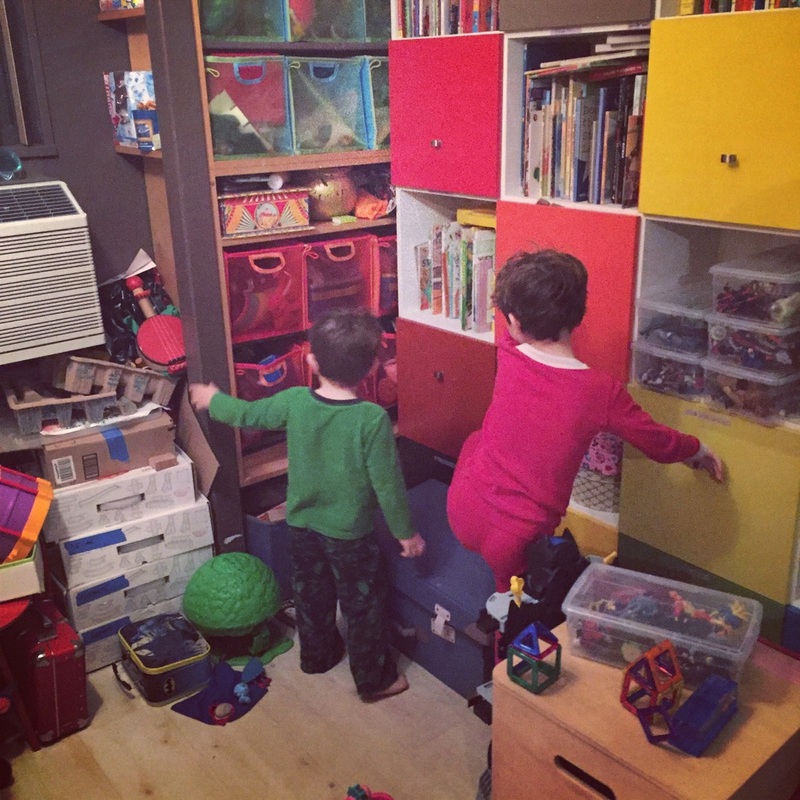 I made sure to let them know how much easier searching would be if their room were more tidy (to drive in the importance of Mystery Elves day). After fruitlessly searching for five minutes, I gave them the clue to look in something green. They finally found the first clue in the toy treehouse, which led them to the first key hidden in the desk drawer. Sorry for the blurriness, things were moving pretty quickly. Around each key was a note saying where they should look for the next clue. Because this was an experimental format, I made the clues pretty straightforward (the one on the first key said "tea pot", for example, leading to a clue in one of their tea sets), but in future ones I'll make the clues trickier. Lyric took the job of official key bearer. Ten clues makes for an exciting treasure hunt. ... The clue was taped inside the top cover of the Lego box! This led to them making up a pretty cool sounding song together they called "Under Robots", but soon they spied the Rock 'Em Sock 'Em robots. 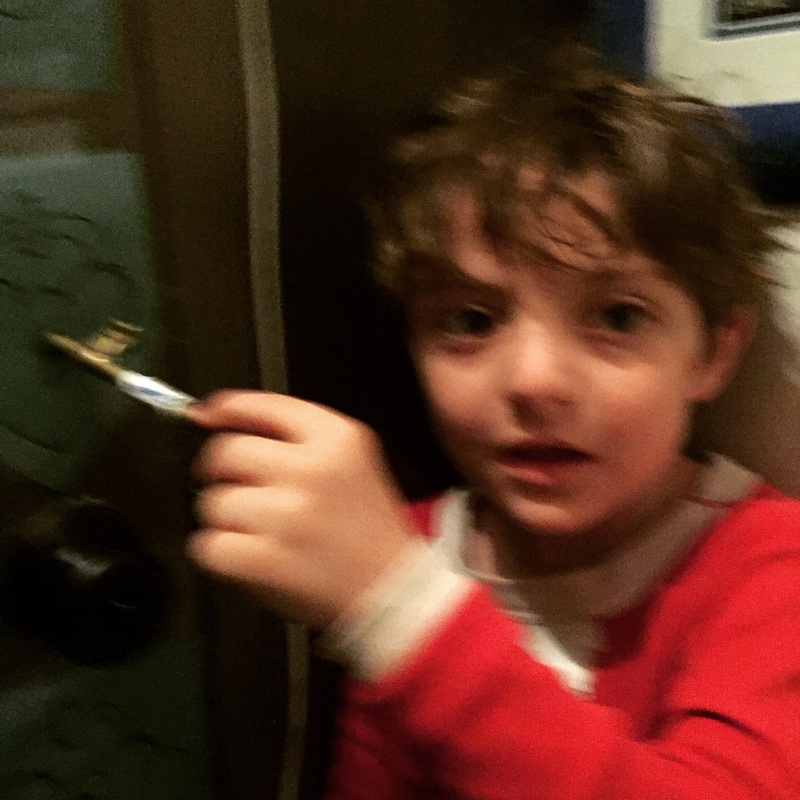 Zephyr could lift up the robots from his bunk bed but he needed Lyric to reach the key for him while he did it. So they worked together. Ladies and Gentlemen, my kids worked together to solve a problem. This is everything I've been working towards. Lyric's hand reaching up for the key as Zephyr lifts up the robots. SELFGRADE: A. I mean, yeah, the clues could have been harder, but hitting a natural "nuclear submarine" task? That is rare and special. It worked and it was fun and it thought them valuable lessons in how to work together. And they jammed on a funky song called "under robots"! That's a mega success.